Our hands often reveal what we really think but do not say. to joy, understanding, love, and compassion. can accomplish, but also in how they communicate. maneuver surgical instruments, chisel a David, forge steel, and write poetry. mold the world around us. let us not be ashamed or slow to do the humble work. Hands calm us, feed us, and scratch our backs. They intimidate, bless, encourage, and stop us. often suggesting exuberance or fear. Hands have saved lives and taken them just as easily. They create the saviors of life as well as the purveyors of death. a finger can move mountains or search the unknown heavens. Forever living hands, forever exploring hands. the two as beautifully balanced and coordinated as birds’ wings. Beautiful words and pictures, especially about sign language. I learned sign language in high school. The ability to use signs as language was the cornerstone of understanding and diagramming intuition as a language. Sublime. Sublime. Sublime. You nail it e-v-e-r-y time, & set the bar higher and higher with every iteration of ‘McCurry.’ God’s peace to you! As always, a beautiful photo essay. Wunderschöne Fotos. Ich bin total begeistert. I simply LOVE yourBlogs they move me to tears every time. Let’s not forget the technology artist, the programmers who craft the prose of software (like the one used for this very blog). I’m looking at these pictures this morning and I’m sure I’ll have a better day. Thank you. Many post i read…but this post is one of the best . I’ve yet to be disappointed by any of your work. Always touching… avoiding the trite or smarmey. Okay, that’s not a real word, but I continue to absorb your work with joy. 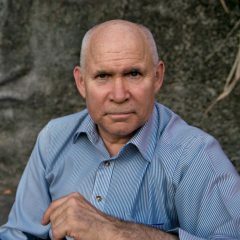 Dear Mr. McCurry … I’ve followed you since I started blogging about 5 years ago. I received your new book for Christmas this summer!! Amazing job … I was always able to share your posts with readers but now, even though the reblog button is there is, it doesn’t work for me. Is there anything that you can tell me to try to fix this!? It is early morning, and once again, your words and images lift my heart. When your blog arrives on my doorstep, it is always the first thing I look at to start my day. Always on a soothing note! Thank you. We have a non verbal grandson that uses an ipad plus hand gestures. This means a lot to me and will his parents. Thank you so very much for your excellent and skilled work. Splendido lavoro, come sempre. Grazie! This is utterly exquisite. Thank you! Reblogging! Stunning, reaffirming and thoughtful, as always. Thank you. A stunning and poignant series of portraits. Thank you, Steve. Absolutely beautiful… thank you for sharing!